There’s a new service on the island which will be really useful to those of you who own properties here, live here or want to, or who run businesses on the island. 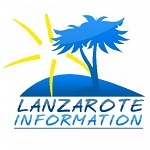 Lanzarote Living Consultancy is run by Lydia Thain, who many readers will know. And if you have a business idea, Lydia can help you with the planning, set up and licensing for your idea. Bandama 11 is a bungalow in the very popular Los Pocillos area of Puerto del Carmen. It's part of a small community close to shops and bars.